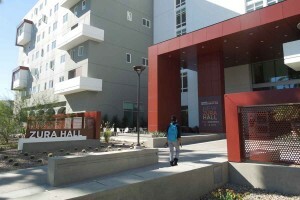 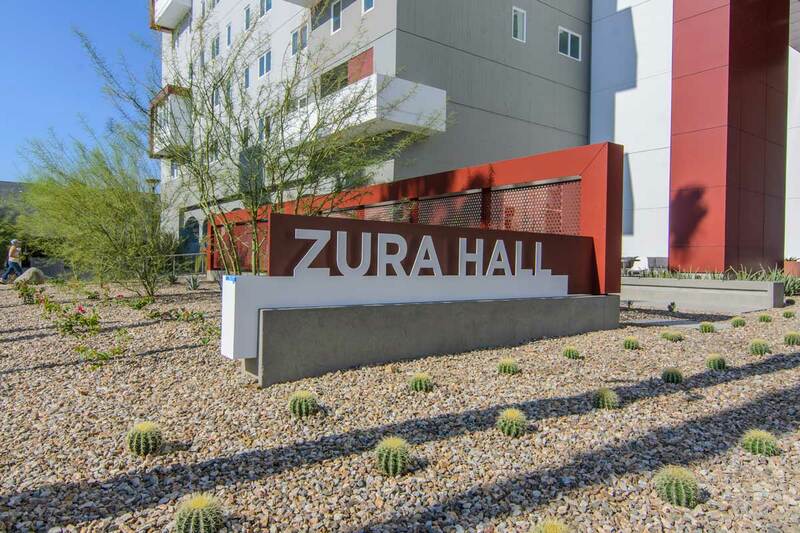 landLAB is collaborated with HMC architects and Mallum on the refresh of Zura Residence Hall at San Diego State University. 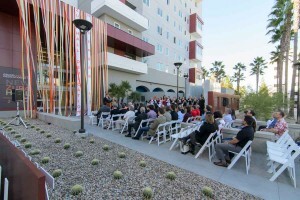 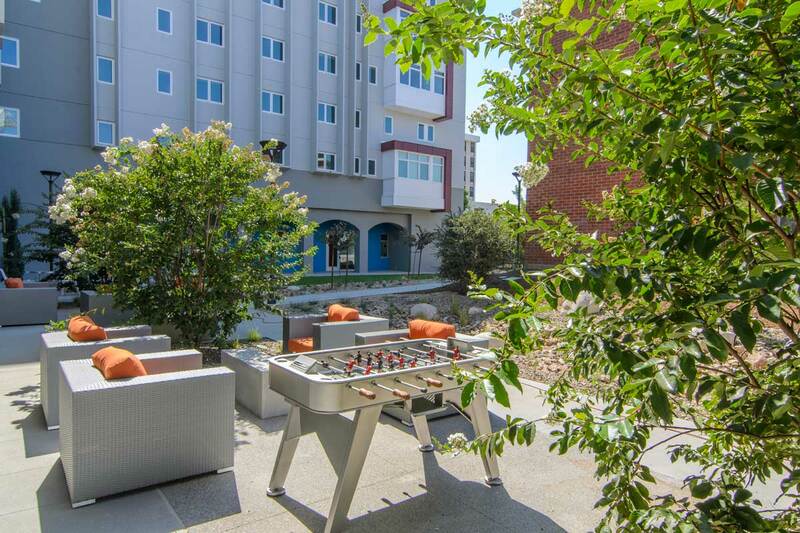 The new design re-imagines one of San Diego State’s oldest residence halls as one of the hippest dorms on campus. 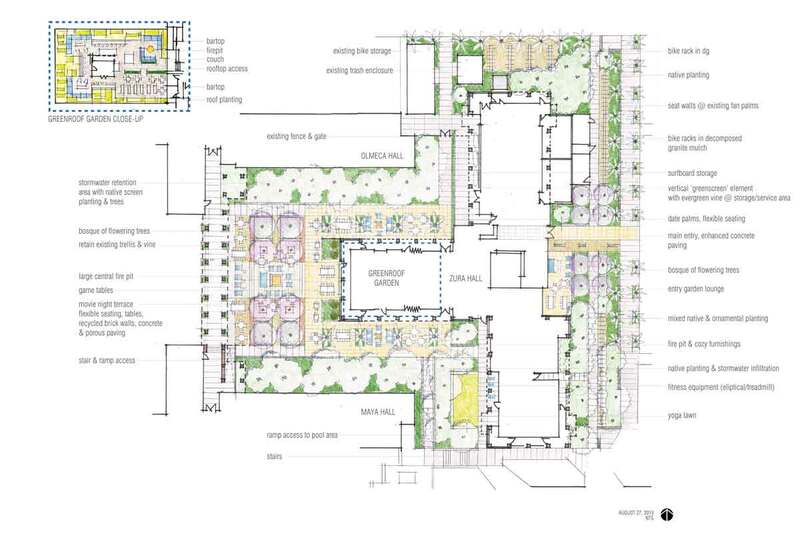 Maintaining the existing structure, but reconfiguring and updating the interior to include accessible dorm rooms and facilities, communal study space, smarter room configurations and improved social and kitchen amenity spaces. 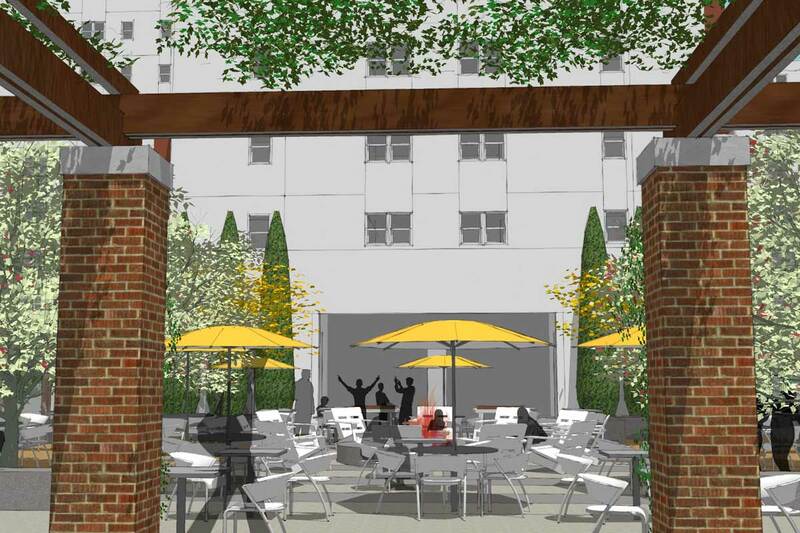 The refreshed facility will include not only interior upgrades, but also exterior amenities that will meet the demands of today’s students. 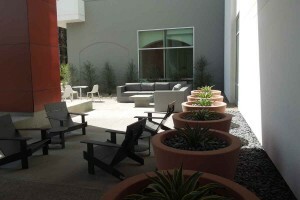 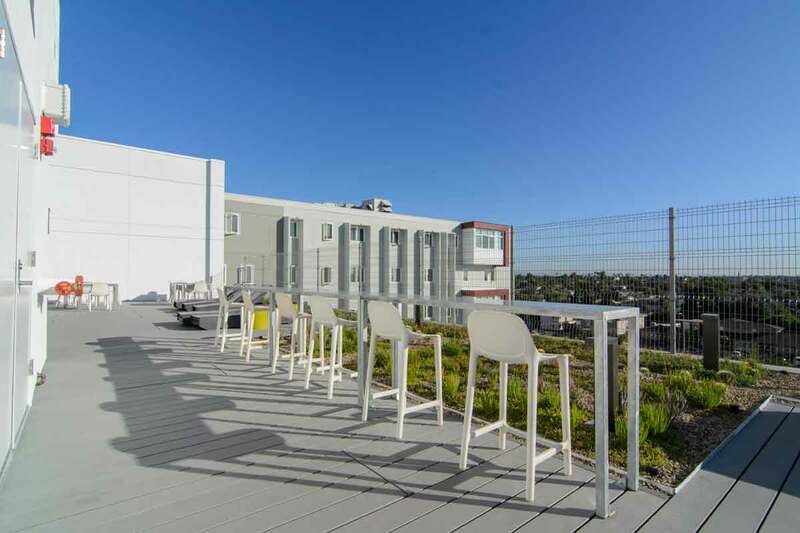 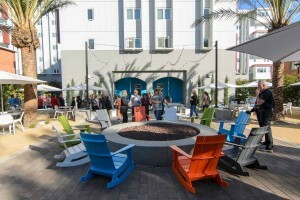 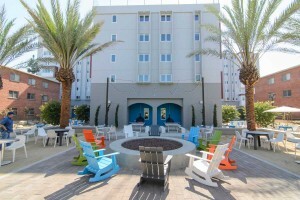 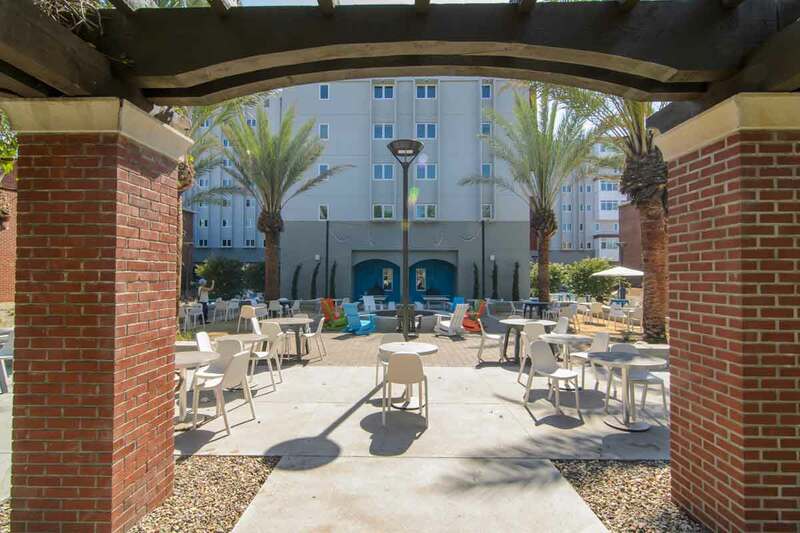 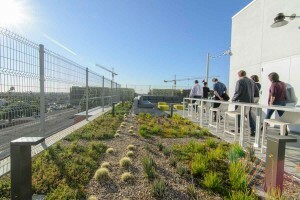 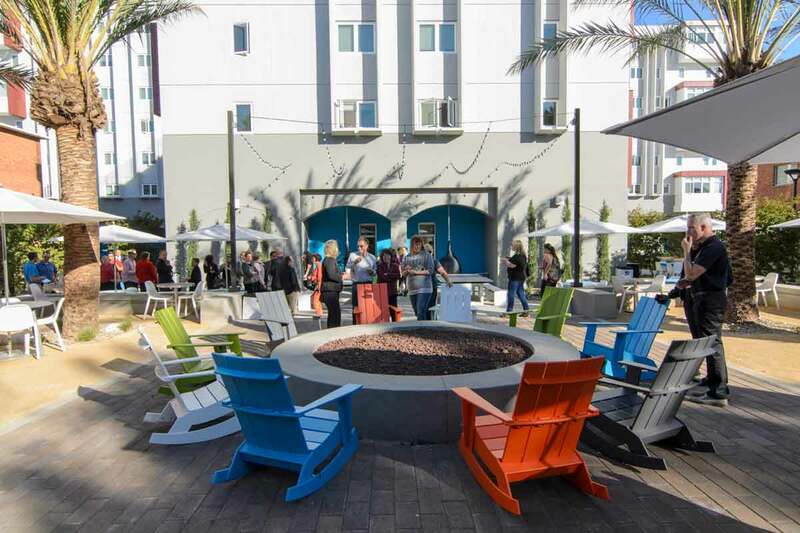 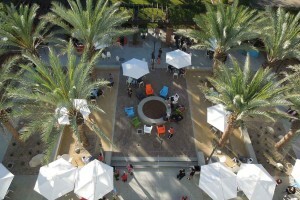 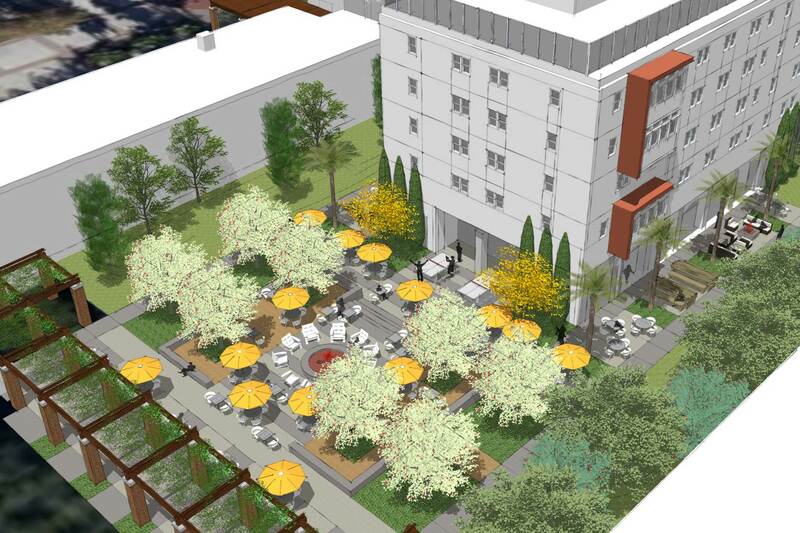 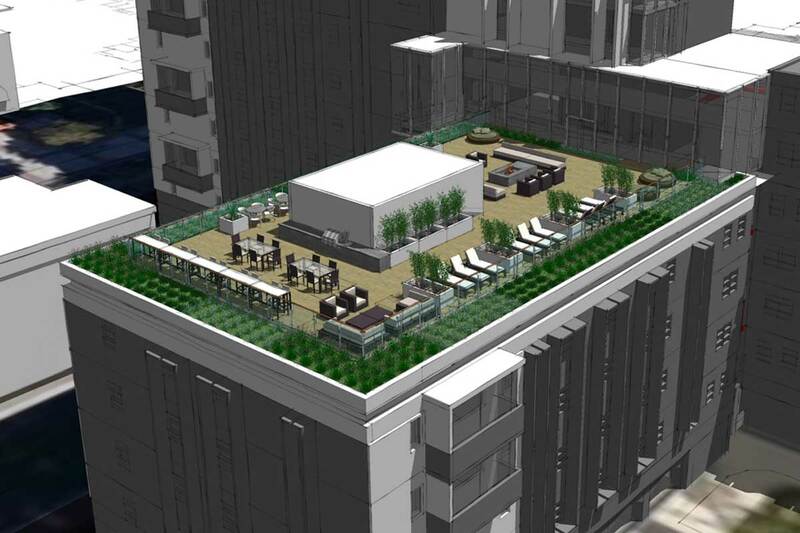 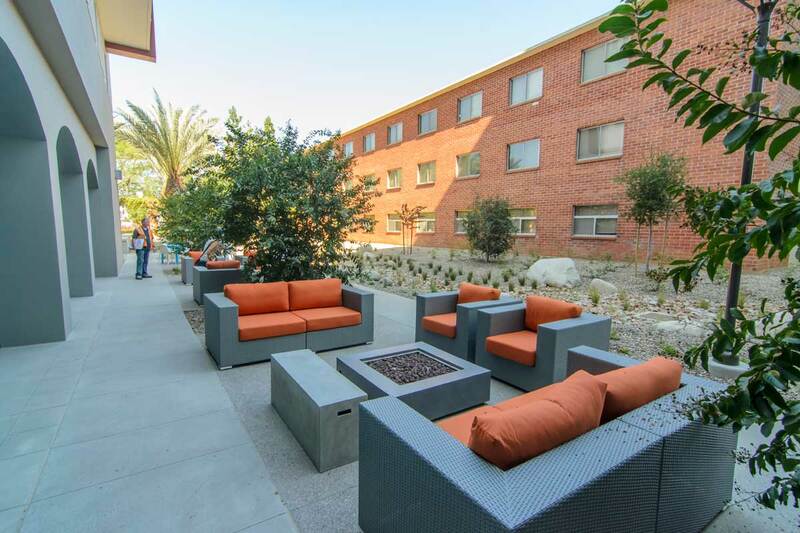 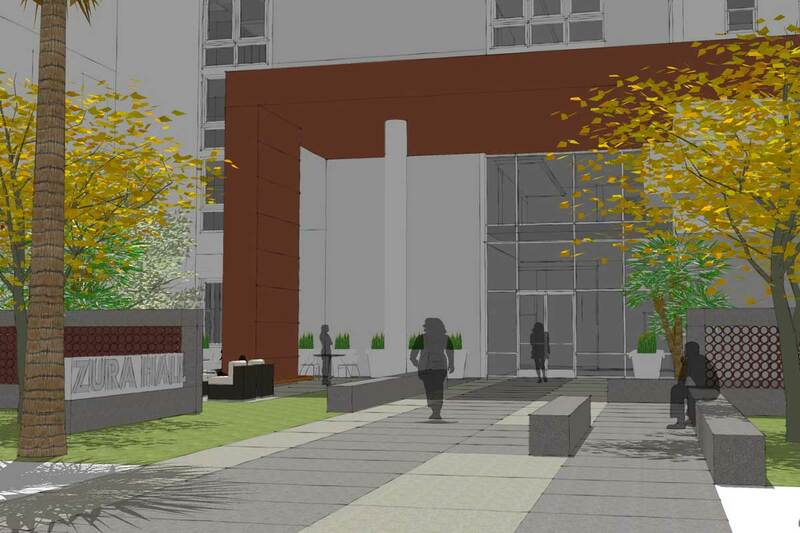 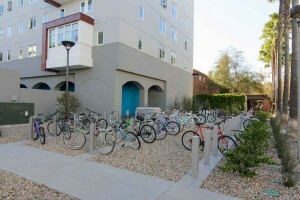 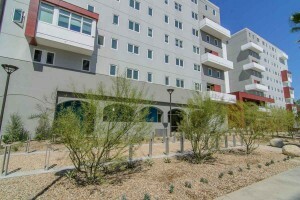 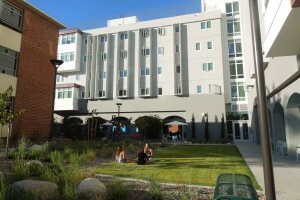 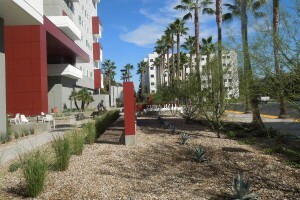 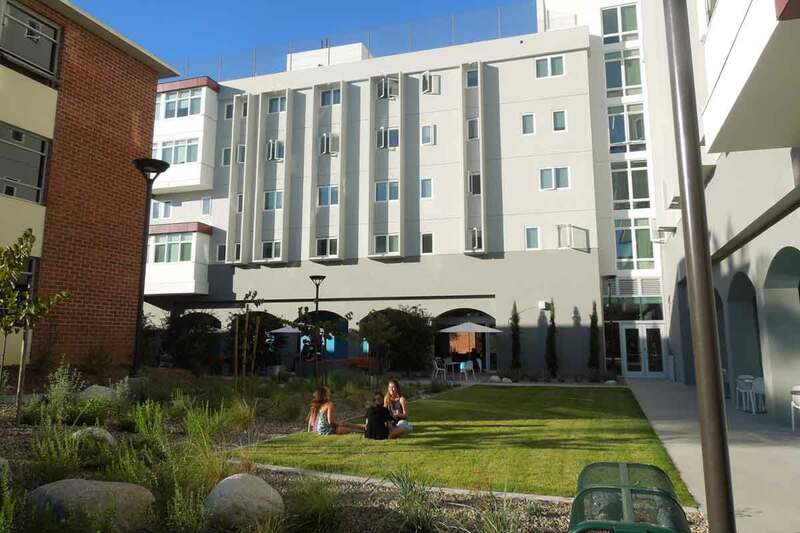 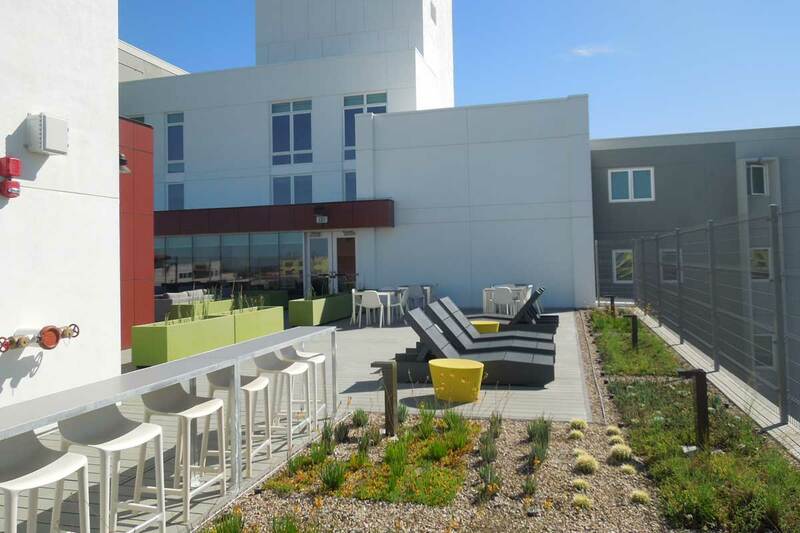 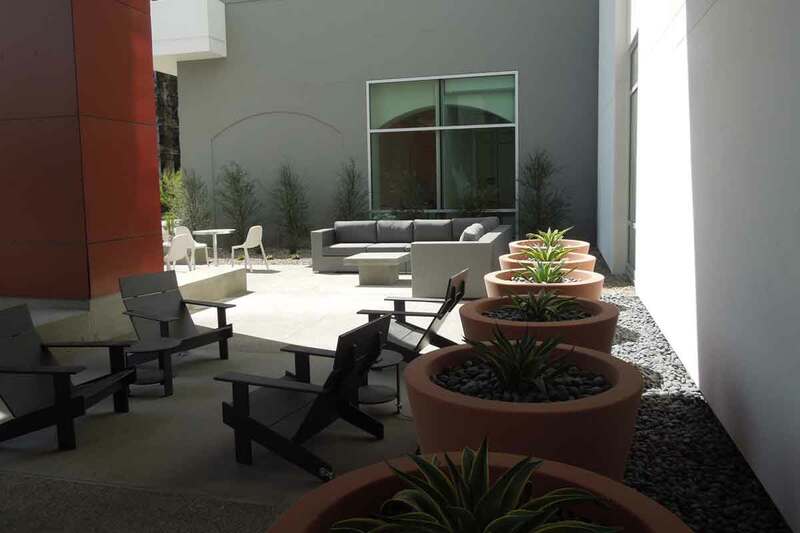 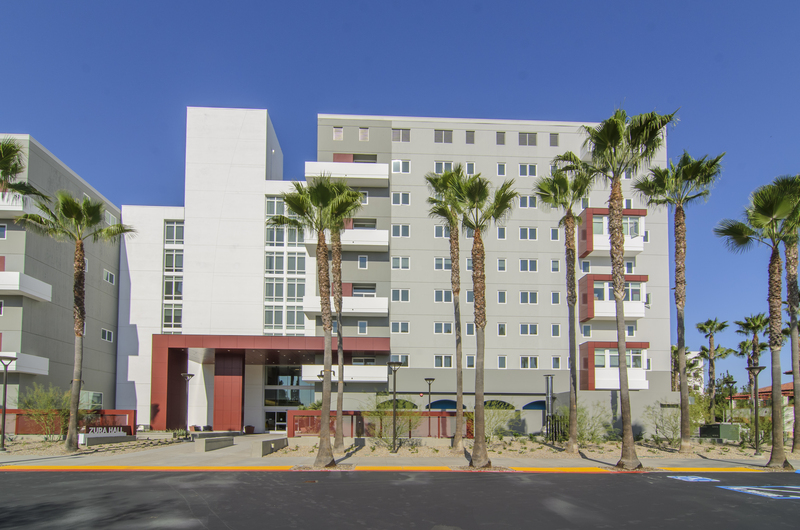 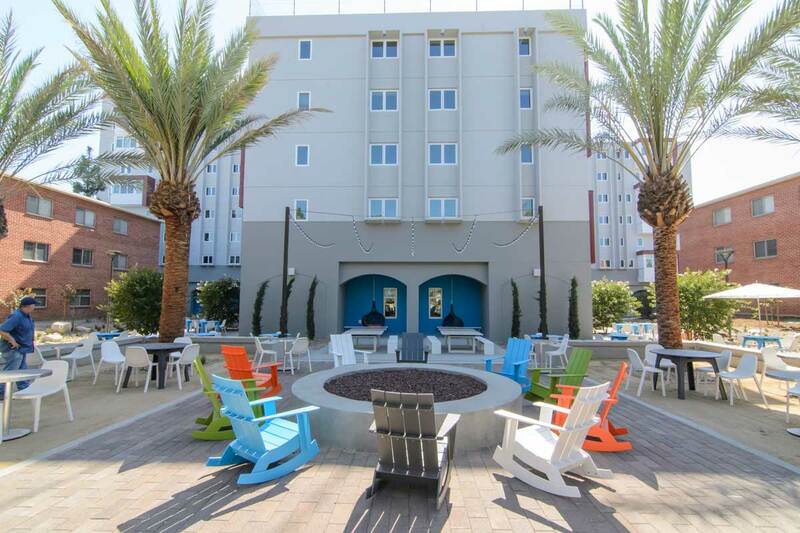 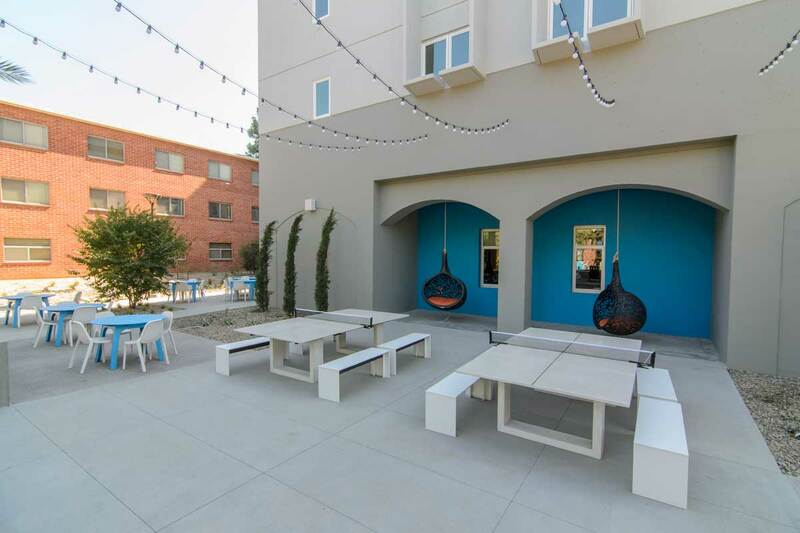 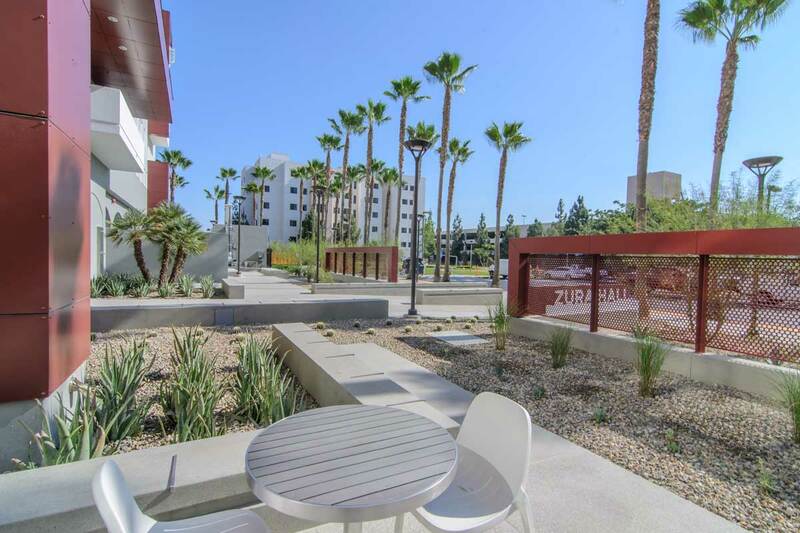 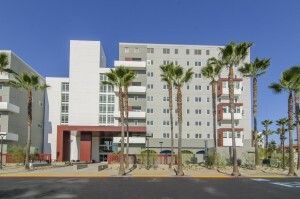 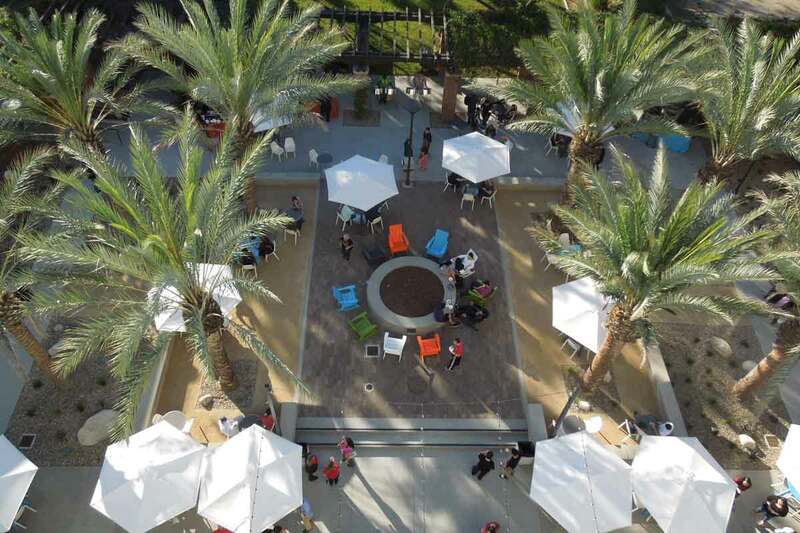 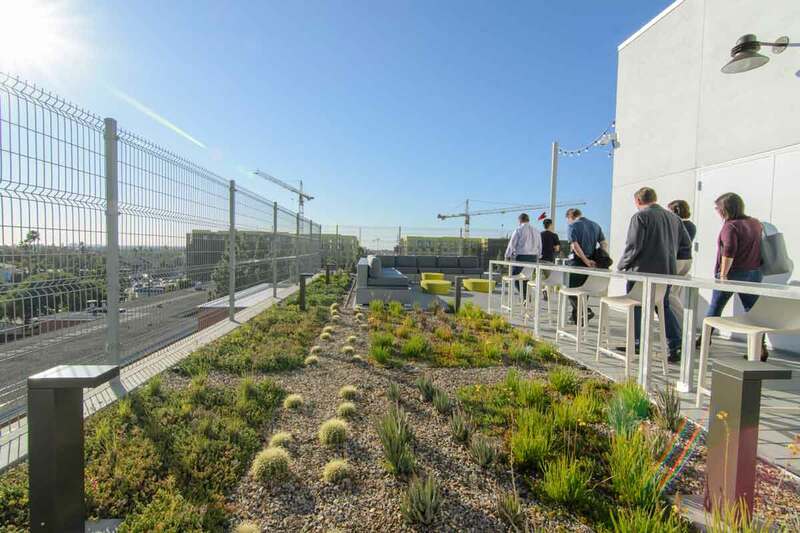 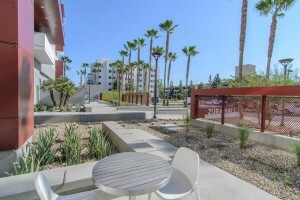 The exterior design highlights California climate creating a resort feel for student housing. A surfboard wash down and repair station, yoga and fitness lawn, outdoor game area, multiple fire pits and lounge seating and conversion of an existing unused roof deck to the ultimate student hangout space including movie wall, outdoor bbq and kitchen with adjacent dining area, flexible seating for studying or sunbathing, comfortable couches and big cozy chairs to gather in groups around the small fire pits.